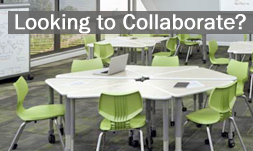 Many schools and public libraries are faced with difficulties when it comes to choosing school furniture or classroom furniture, more often because of the limited budget that is allotted to these purchases. Finding quality school furniture with a limited budget can be a hardship, but the good news is that your options for furniture suppliers are multiple, and with competition come all sorts of advantages for the client. Visit www.WorthingtonDirect.com today and find great prices and continuous customer service, even after the buck has passed. Probably the most important advantage in your situation is the low cost, but discounts are not to be overlooked either. Low prices are something that everyone looks for, given the limited budget that they can use. However, if it were possible, and it is, to find exactly the type of school furniture that meets your needs, and at an affordable price, things would be great, wouldn’t they? Well, if you thought that shopping from a classroom furniture catalog was your only option, we suggest that you try doing your shopping online, and you will certainly be pleased with the outcome. The wide range of products available from online suppliers of school furniture, such as www.WorthingtonDirect.com, give you enough options, so you can be sure that you are very likely to find something that is both affordable and high quality. Every piece of classroom furniture that you need is available in different shapes, colors and materials, so as to fit all needs and purposes. You can forget about finding a low price and settling for something you don’t like too much, just because you cannot afford something that would be most appropriate; classroom furniture now comes with various price tags, so as to match all budgets and needs. You can choose from a variety of student desks and chairs, classroom tables, computer tables, presentation furniture, teacher desks, marker boards, science lab tables, folding tables for the cafeteria, outdoor school furniture and even daycare furniture. But keep in mind that the aspect and the price are far from being the only criteria that you should consider when purchasing classroom furniture or school furniture. For instance, when you look for classroom chairs, the details to consider should include height, construction, durability, base, and, of course, style. Height is probably the most important detail, and although you should expect to have students of all heights, you can approximate the height of your future students, using some graphs available online, which provide you with useful information. If you have had no prior experience in purchasing classroom furniture, you can use these graphs to determine the size you need, corresponding to certain age groups. Style and purpose are also important when you try to make a choice of classroom furniture. You can opt for standard chairs, which are used most commonly; you can choose stacking chairs if you know that your classroom is going to be rearranged a lot, and chairs need to be easy to move around; if comfort is what you have in mind above anything else, you should opt for shell chairs, which are made of a softer plastic. These are just some examples, and as you must have guessed, you have the same options, or even more, for all types of classroom furniture or school furniture. And the best thing about shopping online is that you have many products to choose from, and their prices are really affordable. If you are looking for a grea variety of school furniture or classroom furniture please visit www.Worthingtondirect.com.